She took me in during my teenage years, let me be a rebel and a brat and still had grilled cheese sandwiches for me and my friends when I came home from school. As wild as I was, I think she enjoyed my crazy assortment of punk rock friends, she was very rarely judgmental. She loved company and conversation and charmed most anyone she met. She reveled in the challenge of making me clothes from random scraps of fabric and half baked designs. Our house sometimes was a mini hostel, and it never seemed to bother her. In fact, she entertained herself by playing practical jokes on our guests. Like the time the band Chumbawamba was passing through LA playing a gig at Jabberjaw. My grandma woke up to find half the band crashed out on the living room floor. I told her they were a band on tour from England. I came out of my room a little later to find her sprinkling water on them. I asked what was she doing, she replied “you said they were from England, I wanted them to feel like they were back home!” and proceeded to say “it’s raining, it’s raining!” The band didn’t forget this, and a few years later when they had their big breakout hit, Tubthumping, you know the one “I get knocked down but I get up again” they dedicated the song to her at their LA concert after hearing she recovered from a black widow bite. My condolences. Thanks for sharing the precious stories of such a great woman. I echo Vero’s sentiments. When I read this, I was thinking about your earlier posts. Thanks for sharing those stories. Thank you all for your sympathy and thoughtfulness. 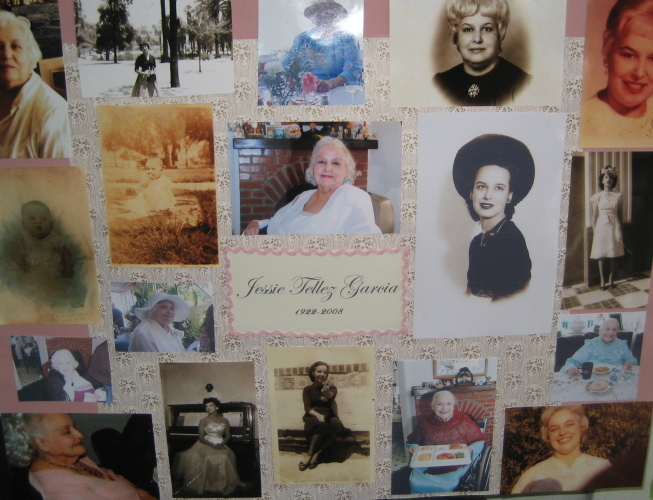 While I try to avoid getting too personal on this blog, it’s been a pleasure to share these stories of my grandmother. I appreciate your comments.